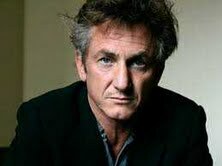 I have never been able to disassociate Sean Penn from his rock-star ex wife Madonna. He has gone a long way since their flop of Shanghai Surprise, but give Madonna the credit: she knows talent and she detects it early. When my husband and I watched the trailer of Sean Penn's This Must Be the Place, I was dumbfounded by his costume and "Cure" attire but my husband recommended it: "it will win an Oscar, mark my word". He doesn't stick to his guns and backed off seeing it when it premiered, but he left me curious. I very much wanted to watch Sean Penn "act the part". I had just seen him in Tree of Life, where he has a small role, but here he was playing a role only Johnny Depp could handle because he was so heavily made up and coiffed. I couldn't help comparing his acting to the two very memorable ones of Dustin Hoffman in Tootsie and in Rain Man. The character is outrageous in his lethargic composure and cynical humor. He is married to FrancesMcDormand, which I always identify with Fargo: she certainly adds the same quirkyness to the film. I attended the film alone so many of my questions remained unanswered. My husband claimed during the trailor viewing that Cheyenne really was a famous rockstar and I still think he was pulling my leg. The cool soundtrack wasn't by any one by that name rather by David Byrne, who I am not cool enough to know. (I did wait till the very last credits in search of that validation). This Must Be the Place is a road movie in the style of Forest Gump even though it doesn't cover a large expanse of time. There are many references to today, namely Sarah Palin on tv and the voice (but not face) of Obama in a recognizable speech. Indeed, two thirds of the movie are filmed in the USA. Sean Penn played wonderfully. I cannot think of anyone else with that dexterity. His body language and his ticks were very comic. Dustin Hoffman is too old and Johnny Depp has been too much of a pirate/ scissor hand to take up such a role. Madonna has great taste. There is no question.